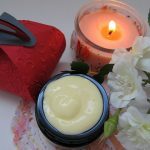 This article has evolved while experiencing the touch of massaging just under 1000 of you beautiful bodies over the last twelve months. Each of you have shared with me the result of the “Stresses of Living Life” and how this is manifested in your mental, emotional and physical bodies. Where we “Store” these “Stressor Dis-Eases” seems to correlation between your body type and the twelve functioning systems of your body. What has encouraged me to finish and publish this article is the film “Embrace” by Australian Taryn Brumfitt who has started the Body Image Movement (BIM). 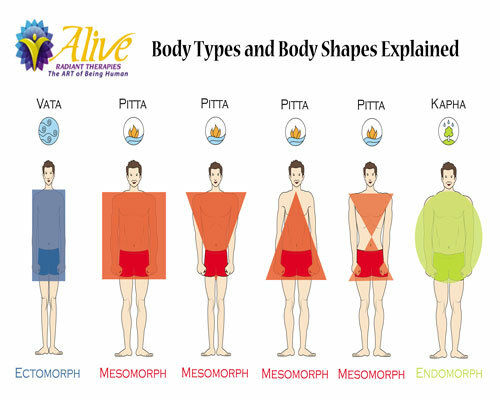 Benefit from “What is” Your Body Type and Body Shape. By understanding “What is” our Body Type and Body Shape we can use their benefits instead of stressing over trying to live up to an “Advertised” body image. There are three main body types and body shapes which are classified as Round, Square and Rectangle. Your dominant Body Type is determined during the first Five weeks of embryonic development. Body Types are set in the first five weeks of Embryonic Development. In Week 1 the embryo is the purely splitting, dividing, expanding and attaching to the uterus wall. The Settling in phase for the embryo. In Week 2 the embryo builds two Fascial (skin) connective tissue Tubes, one for the spinal cord and the other for the Gut. In Week 3 the embryo builds the Gut and Digestive system. Round Body Types (Earth Mothers) set their body patterns for life in this week. In Week 5 the embryo builds the Brain and nerve supply systems. Rectangle Bodies (Sensitives) set their body patterns for life in this week. So you can see by week 5 the Dominant Body Type for a life time has been established. So what do the Body Types and Body Shapes look like? The Three Body Type Main Characteristics. Characteristically, round, soft, buxom and sometimes short. Homely and earthy. DNA Development – Digestive system, (Viscerotonic) enjoying food, people and affection with difficulty losing weight. Complacent followers and employees home keepers. Athletically with slow reactions. Consistent steady exercise like walking. Gender Dominance – Feminine energy, affection, belly laughter and huggers. Design analogy – Draftsman, planner and logical engineers. The go between visionary & doer. Decision Making – Slow Gut felt responses. Lots of checking and asking of others opinions. Food – Portion sizes for the exercise programme. Avoid, glutens, sugars, drugs, red meats, coffee. Actor Body shape example – Magda Szubanski in Kath & Kim. Characteristically muscularly built, hard, thick, tight and straight posture. DNA Development – Muscle and strong heart muscle (Somatotonic) developed with physical adventure and risk taking. Extraverted being dominant assertive and upfront using head based logic from learnt training and experiences. Athletically good for short distance running and ruby. Power Gym and extreme sports. Gender Dominance – Masculine energy. Design analogy – Builders and doers where the strength is required. Decision Making – Head based learned responses. Can be explosive interactions of the amygdala and hippocampal complex from a learned patterned process. Bee Hive analogy. Pollen harvesters in the field. Fly all day and unconscious pollinators. Actor body shape example – Jennifer Lawrence in Joy, X-Men and The Hunger Games. Characteristically lightly built, fragile, thin, tall and flat chested. Indigo, highly sensitive persons and often Mediators. Introverted enjoying isolation and meditation. DNA Development – Cerebrally (Cerebrotonic) developed with Visionary, intuitive tendencies and sometimes subject to anxiety. More likely to experience a DNA mutation and expansion. Athletically restrained in posture and movement tendencies for Long distance running and cycling. Yoga. Gender Dominance – No dominance, Neutral and often Multidimensional. Decision Making – Uses Heart Feelings Intuition, Multidimensional knowledge Access to the Akashic record. Inspirational new direction. Good at integrating the head into the Heart Mind. Bee Hive analogy. Attendants for the Queen Bee. Intentional Low ego Service orientated. Combining body types within each person as we age. All classifications are included in each person and vary over time. Combinations of body types in the ages from 0 to 20 (90% dominant body type with 5% each of the other types), 21 to 49 (80% dominant body type with 10% each of the other types), and 50 plus (60% dominant body type with 20% each of the other types). This is given as an approximation example. Refer to picture in the Holistic Health Services. What are our Services in this area of Body Types? From the Alive Radiant Therapies Holistic Health Body Type Care Approach on a Conscious Mind Level, we test the Body Type Bodily Function Systems for strengths and weaknesses with reflexology. We look to see if we can assist you to release the emotional “Pain of the Past” that has become trapped in the right side arm and leg of the physical body. We also look to assist you to release the emotional “Fear of the Future” trapped on the left side arm and leg of the physical body. Remedial massage works through the muscle layers to release the Myofascia (muscle skin) that holds together the body from head to toe. Letting go of the long held pain is like waking up to the situation and letting go of the event or fear and replacing it with love and forgiveness. The Myofascial Release is like “ironing out the crinkles” of the muscle skin, while you do the healing by breathing deeply and suppling blood to warm up the location being massaged. For an Endomorphic Body type this may work on the Gut fascia, for a Mesomorphic this may involve work on the Muscles and the Heart muscle. For an Ectomorphic body type we may work more on the fascial tissue around the Brain, nervous and endocrine systems. On a Subconscious Mind Level, we work to assist you to “Feel the energy of the Heart” so that you can function from the “Present Time Now”. By massaging your torso from your shoulders to your hips this will assist you to become connected with your Heart/ Gut Mind, your autonomic nervous systems and functioning of the twelve systems of the body. Reflexology works through the inner layers of organs and endocrine glands to active your energy centres within the body for balance. On a Superconscious Mind Level, we work to assist you “Experience What Is”, Life Purpose, Intentions and a connection with your environment of earth, water, fire, air and the sun’s radiant energy. A feeling of oneness and connectedness with all. A Self-Responsibility plan should always include exercise, diet, meditation and setting new intentions. Some of the Yoga movements are a good example of opening the Head, Heart, Gut and the Hips that generally lack flexibility in the western world body. Accept the “What Is” your Body Types and Benefit and live with this. Research and Set a Diet for your Body Type. Research and Set a Meditation Programme for your Body Type. Root Chakra Location Ovaries testis. Coccyx, legs and feet. Balance Blend for stability and grounding. Sacral Chakra. Location Adrenals. Lower abdomen. Citrus Blend for creativity and healthy relationships. Solar Plexus Location Pancreas, Liver Stomach upper abdomen. DigestZen Blend for Self-confidence and willpower. Heart Chakra. Location Thymus. Breathe Blend for Acceptance and compassion. Throat Chakra. Thyroid. Whisper Blend for communication and expression. Third Eye Chakra. Location Pineal. Brow. Lavender Peace Blend for Perception and Intuition. For Body Type Therapist refer to our links pages. Some noted here. Ayurvedic Therapists. – Five Elements, Kay Woodall. 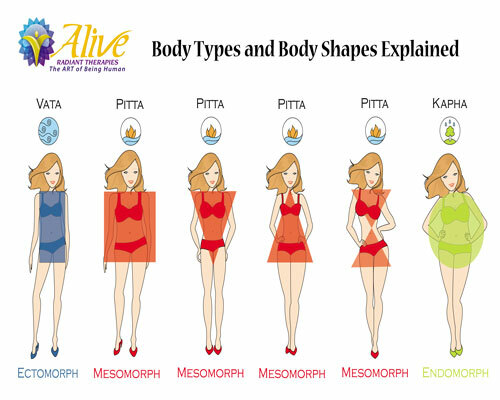 Body types analysis and dietary selection. Acupuncture – East West Fertility. Jenny Byrne. Integration of Body meridians. Life between Life’s Regressions – Karen Joy. Experience the Body Type selection process. 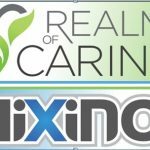 Naturopath – Sharon Wilford. Integration of the Body Type with Nutritional support. Yoga – Santosha. Experience flexibility moves for the gut, heart and head Body Types.